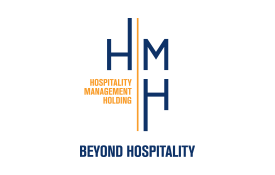 Escape and experience the true traditions of Arabian Hospitality across the Middle East and North Africa with HMH – Hospitality Management Holding. Comprising five unique and well-established hotel brands: Bahi Hotels & Resorts, Coral Hotels & Resorts, Corp Hotels, EWA Hotel Apartments and ECOS Hotels; HMH guarantees a comprehensive selection of accommodations and services to match any budget and expectations – from top-end luxury hotels to budget hotels and serviced apartments. Choose accommodation in one of the HMH hotel brands and earn a generous rate of Skywards Miles as you stay. Please quote your Emirates Skywards membership number when booking and present your card on check-in and/or at the point of purchase. 3 Miles per USD 1 spent on eligible stays* at participating hotels, including food and beverage charged to the room bill. An eligible stay is a stay with an eligible rate i.e. any published rate excluding: airline, inter-company, and employee discount rates or any complimentary, free, or barter room; any stays in connection with frequent traveller awards, gift certificates or other awards or vouchers; group and specific promotion rates; tour operator and wholesale net tour rates or long stay rates. Emirates Skywards members are eligible to earn Skywards Miles based on room spend only. Emirates Skywards Members can earn Skywards Miles for stays in all HMH brands: Bahi, Coral, Corp and EWA. Members cannot earn Miles on free or complimentary stays, stays purchased as part of a package holiday, stays booked at industry discount rates, stays booked through specific promotions, stays using award or discount certificates, stays booked at special rates offered through travel agencies, special rates offered to groups, special rates offered to airline crew. Members who are airline employees, travel agency employees, reward partners, government employees or gaming company employees cannot earn Skyward Miles for their stays.